It has been six months since God called us out from our former church and, yes, we are still without a church home. Yet, it really is so amazing how God has been guiding our spiritual growth outside of the church box and to what churches He has been guiding us. We have visited six non-denominational churches with contemporary Christian music and having a "come as you are" dress code. All of them seem to be Spirit-led and Spirit-filled to differing degrees or at least some are more outwardly expressive than others. Most of the sermons really touched us, saying what the Lord had been laying on our hearts for nearly a year, which was really cool considering we rarely have gone to the same church two Sundays in a row. We have visited all of them at least twice with the exception of Church #6 so far and we have visited Church #4 the most, six times. Here is a summary of their services or things we have learned during a service with "Interesting" being neither a Pro or Con or is a bit of both from the viewpoint of what we would prefer, but it is not about what we prefer, just where my Lord wishes us to be. Vision for planting churches vs. growing a mega church. No passing the offering plate. Praise and worship is after the sermon. Mostly young families, none over 40 years of age. Strongly seeking to be led by Holy Spirit. Encouragement to use the gifts of the Spirit. Much freedom in various forms of worship, like using worship flags. Strong in ministering to people in ministry in other churches. Has a Messianic bent and celebrates the Jewish holidays. Not too big and not too small. Not as welcoming to new visitors as others. Long praise and worship time. Very welcoming to new visitors as well as members. Strong in music, artistic forms of worship, and has a worship flag group. Good variety of ages, skin colors, and sub cultures, like a motorcycle ministry. Probably the furthest of all the churches, but only about 20 minutes going away from town. Very close to home, only 5 minutes away. Strong in music and visual arts. Seems to be geared towards mega church attitude. Typical traditional format for services, with contemporary atmosphere. Not as friendly as some, but it was a very stormy day when we visited. Passing of the offering plate. May be male only leadership. Typical traditional format for services and more traditional sermon. 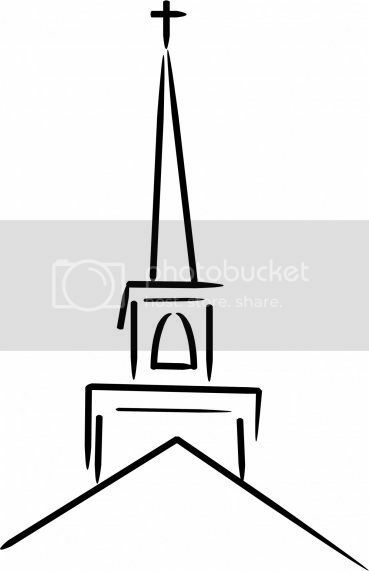 We are being very cautious and careful about the idea of adopting a church. My husband favors churches #4 and #5 with #2 for Jewish festivals since it meets at night only, but I feel the leadership according to gender thing is a huge stumbling block for Church #5. I like Church #4 also with #2 for the same reasons as my husband. Like us, the Princess likes all of them for differing reasons, but she favors the worship flag churches #2 and #3 at times and the ones with the most children at other times. I am wondering which my Lord has chosen for us or if we are to add to the list of churches to visit. Rather you than me ~ but you are learning something of our Lord's nature & His calling from all of them. When the time is right He will plant you. This is the weird part. I have never "enjoyed" the process of looking for a church home before. Actually, I still feel we are not looking for one, so maybe that is why I am enjoying visiting different churches or maybe it is the freedom from church obligations, like we are on a vacation from church, but God is definitely traveling with us showing us how to be His church no matter where we go. It makes for an interesting journey.